Dr. Thaddeus Radzilowski, president of the Piast Institute received the Joseph Jachimczyk, M.D., J.D. award from the National Medical and Dental Association at the organization’s annual meeting in Traverse City on July 28, 2012. 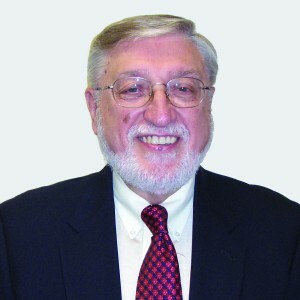 Dr. Jachimczyk, one of the founders of the Association, had a distinguished career in Forensic Medicine and made significant contributions to the field. He often served as a consultant on high profile and difficult cases. He was, for example, called in for the autopsy of President John F. Kennedy. The Jachimczyk Award is the Association’s most prestigious award. the Future” at the meeting. The address was greeted with a standing ovation. It was an analysis of the importance of tradition for the creation of a vital Polish American Society and Culture for the future. Dr. Radzilowski spoke of his appreciation when receiving the award. “It is a great honor to be given an award named for Dr. Jachimczyk, one of the most distinguished Polish American of our time” noted Dr. Radzilowski. “Even more gratifying is that the award was given to recognize our achievement in the area of major goals of the Institute. Thus the award really marks in a special way the dedication of the staff of the Institute over the last decade”, he added. On August 24, 2012, Dr. Thaddeus Radzilowski addressed the leadership retreat for Polish American Youth at the Our Lady of Czestochowa Center for Polish Culture at Doylestown, Pennsylvania. His presentation was titled “Values in Polish and Polish American Culture”. The retreat is sponsored annually by the Polish American Leadership Association (PALA) headed by Msgr. Anthony Czarniecki of St. Joseph’s Basilica in Webster, MA. Dr. Radzilowski’s presentation focused on the key values identified by the Piast Institute’s 2010 study of 1,400 Polish American activists and leaders in 44 states. He pointed out that these values, Family, Catholic Faith, Uniqueness of Polish Culture and History, Ethnic Pride, Honor and Community, provided a solid basis for creating a new culture to meet the challenge of a relativistic American Culture and the building of a modern, attractive Polish American community. An understanding of the uniqueness of the experiences that shaped key Polish values in Europe and America gives Polish Americans the possibility of a distinctive and influential voice in the national dialogue. The presentation was followed by a one hour discussion period with the audience. On August 25, 2012 Piast Institute President Thaddeus Radzilowski delivered an address to more than 200 delegates from Poland, Canada, and Australia at the annual Quo Vadis Conference held at the Downtown Chicago Campus of Loyola University. The presentation focused on the profile of Polonia today developed by the Piast Institute’s 2010 national study and its analysis of the voting behavior of Polish Americans over the past several decades including the election of 2008. He also addressed the organizational structure of the community and its ability to advance the interests of Polonia. The Quo Vadis conference brings together young executives, political leaders, and professionals from around the globe to develop the basis for a worldwide network of young leaders and to mobilize their vision and talents through education, networking, and organizational development. At the end of the conference all participants were given a copy of a special edition of the Piast Institute’s study Polish Americans Today printed for the conference by the Consulate General of the Republic of Poland in Chicago. An extended and revised copy of the study will be published in 2013 by E. Mellen Press, a major social science publisher.